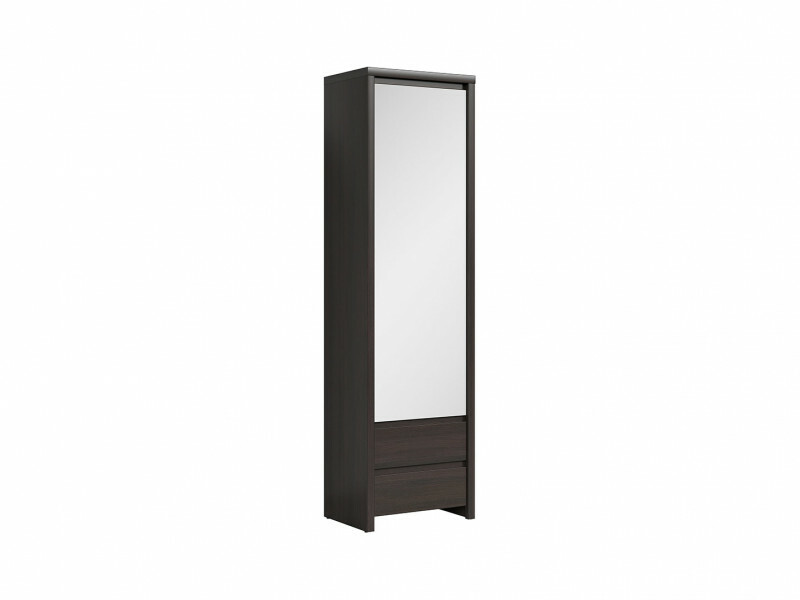 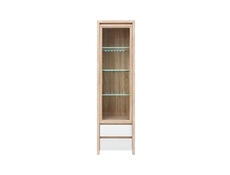 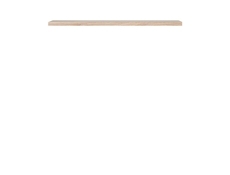 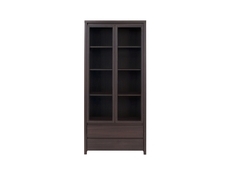 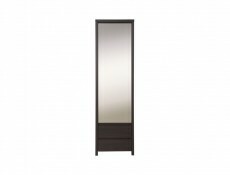 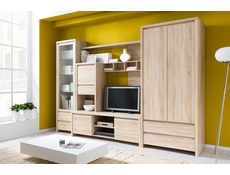 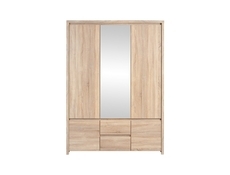 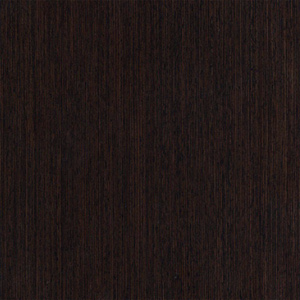 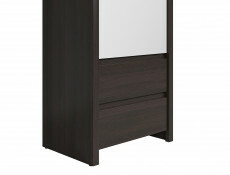 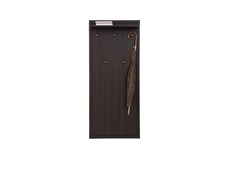 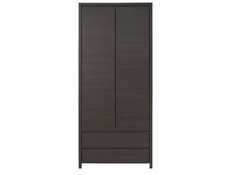 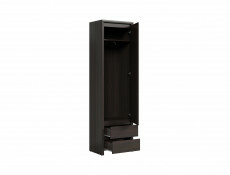 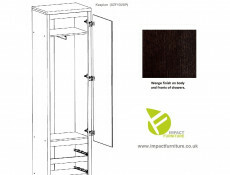 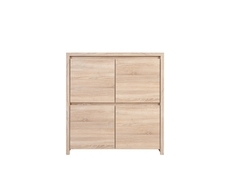 Single door compact narrow wardrobe with mirror door and two drawers in wenge brown finish. 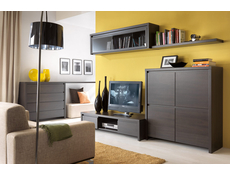 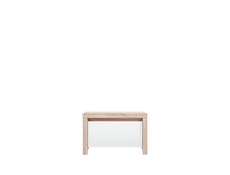 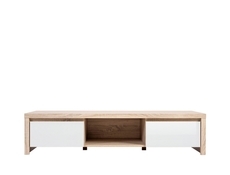 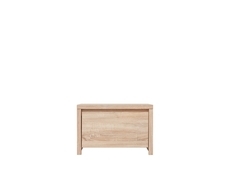 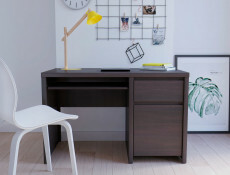 From modern KASPIAN furniture range. 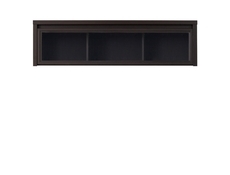 Hanging rail at the top and 2 drawers underneath. 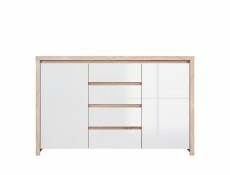 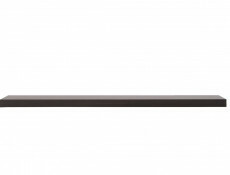 Size: 56 cm (W); 200.5 cm (H); 40.5 cm (D).